Not all countries would be the very same, and swimming regulations and rules are changing from one country to one more. Water sports are increasing especially in elderly population sectors who have suffered some kind of muscle or bone damage. Swimming is a sport for all ages. It assists young people to tone their muscles and grow healthy and strong. 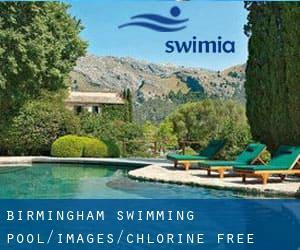 Thanks to some new Chlorine Free Pools in Birmingham submitted each day, Swimia.com is increasing daily the number of stored pools. Please don't hesitate to contact us if you acquire any inaccurate or incomplete data. Most of the Pools offer both open lanes for independent swimming and also guided activities like water aerobics or aquabike. We presently have the following Chlorine Free Pools in Birmingham, but we are always grateful for any corrections or contributions. Get in touch via our contact form. Updated on 2019 College Road , Truro , England , UNITED KINGDOM (Postal Code: TR1 3XX). Swimmers like you reported 25 meters x 13.5 meters, 6 lanes, 1 meters - 1.8 meters depth, 1 meters - 1.8 meters depth, Non-Chlorine Sanitized, Indoors. Phone number and e mail address are number for this Pool. Unit 4 , The Printworks , Withy Grove , City Centre , Manchester , England , UNITED KINGDOM (Postal Code: M 4 2BS). Among all the activities offered by the centre, for anyone who is interested in swimming you will get pleasure from 20 meters x 8 meters, Non-Chlorine Sanitized, Indoors. Just in case you would like to contact this Swimming Pool before dropping by, we only know the phone number. Updated on 2019 Brunswick Street , Knutton , Newcastle - under - Lyme , England , UNITED KINGDOM (Postal Code: ST5 1HG). Among all of the activities offered by the centre, should you be considering swimming you will enjoy 25 meters, 8 lanes, 1.1 meters - 2 meters depth, 1.1 meters - 2 meters depth, Non-Chlorine Sanitized, Indoors. If you will need to contact this Pool, e-mail address and phone number are both number. Dukes Drive , Charterhouse , Godalming , England , UNITED KINGDOM (Postal Code: GU7 2RS). Swimmers like you reported 25 meters x 13 meters, 6 lanes, Non-Chlorine Sanitized, Indoors. Phone number and email address are number for this Swimming Pool. Updated on 2019 Church Lane , Alfreton , England , UNITED KINGDOM (Postal Code: DE55 7BD). Swimmers like you reported 25 meters x 15 meters, 6 lanes, 1 meters - 1.8 meters depth, 1 meters - 1.8 meters depth, Non-Chlorine Sanitized, Indoors. Unfortunately we do not have the e-mail address of this Swimming Pool, but we can give you the phone number. 1a Hall Lane , Hendon , London - North , England , UNITED KINGDOM (Postal Code: NW 4 4TJ). Swimmers like you reported 25 meters x 12 meters, 6 lanes, 1.2 meters uniform depth, 1.2 meters uniform depth, Non-Chlorine Sanitized, Indoors. Phone number and e-mail address are number for this Pool. Oxford Business Park North , Garsington Road , Cowley , Oxford , England , UNITED KINGDOM (Postal Code: OX4 2JY). Among all the activities offered by the centre, if you are keen on swimming you will appreciate 25 meters x 12 meters, Non-Chlorine Sanitized, Indoors. Just in case you want to get in touch with this Swimming Pool before dropping by, we only know the phone number. Updated on 2019 21A Piccadilly , Piccadilly , London - Central , England , UNITED KINGDOM (Postal Code: W 1J 0BH). Among all of the activities offered by the centre, if you are enthusiastic about swimming you will enjoy 50 feet x 35 feet, 1 meters - 2 meters depth, 1 meters - 2 meters depth, Non-Chlorine Sanitized, Indoors. Just in case you want to contact this Swimming Pool before dropping by, we only know the phone number. Henley Road , Marlow - on - Thames , England , UNITED KINGDOM (Postal Code: SL7 2EY). Among all of the activities offered by the centre, if you're interested in swimming you will take pleasure in 20 meters x 10 meters, Non-Chlorine Sanitized, Indoors. Just in case you need to contact this Swimming Pool prior to dropping by, we only know the phone number. Updated on 2019 Tetbury Road , Cirencester , England , UNITED KINGDOM (Postal Code: GL7 1US). This sports centre offers 25 meters, 6 lanes, Non-Chlorine Sanitized, Indoors. Contact information for this Swimming Pool such as phone number and e-mail address are number. Chelsea Village , Fulham Road , London - Central , England , UNITED KINGDOM (Postal Code: SW 6 1HS). Among all of the activities offered by the centre, if you are enthusiastic about swimming you will appreciate 25 meters x 10 meters, 4 lanes, 1.4 meters uniform depth, 1.4 meters uniform depth, Non-Chlorine Sanitized, Indoors. Just in case you want to contact this Swimming Pool before dropping by, we only know the phone number. Carlos Place , Mayfair , London - Central , England , UNITED KINGDOM (Postal Code: W 1K 2AL). This sports centre offers 18 meters, Non-Chlorine Sanitized, Indoors. For this Pool, only phone number is number here. Barton Dene , Marlborough , England , UNITED KINGDOM (Postal Code: SN8 1PB). Among all the activities offered by the centre, if you are interested in swimming you might enjoy 25 meters x 9 meters, 4 lanes, Non-Chlorine Sanitized, Indoors. If you have to contact this Pool, email address and phone number are both number.